Steven (Chicagoland, United States) on 26 November 2018 in Plant & Nature and Portfolio. 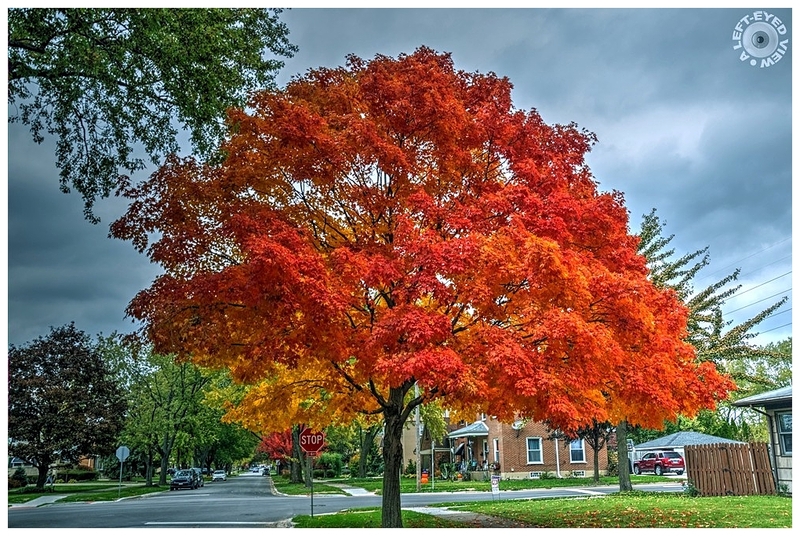 This maple tree spotted along Harding Avenue in LaGrange Park, Illinois appears to glow under the cloudy overcast skies. Illinois' landscape is dotted mostly with oak trees and finding maple trees is mostly through residential subdivisions, unlike the Country's northeastern region. Having grown up in Michigan as a child, Steven, seeing the maple trees like this brings back warm memories! Thank you. woawww what a beautiful color the antlers of this tree. But did not you have a little too much saturation level? A wonderful natural statement ! Magnificent color. A superb image Steven. Gorgeous color ! Love the maple trees ! Wow, wonderful colours! Nothing else to say! what a nice coloring, it's such a wonderful tree! An exuberant specimen that really stands out on its own corner and under your masterful presentation. what a Gorgeous tree !!! Terrific shot here ! It seems to be on fire! A beautiful photo of this gorgeous tree. A beautiful tree. Which brought you nicely to the center, with the green and the dark cloudy sky in the background. Wow! What a specimen! Fantastic visual! Stunning tree. Nice image with the dark sky. Absolutely beautiful! This tree is gorgeous! it has beautiful color and a really nice shape. Geeeez.... Aglow is an understatement! What an amazing tree... and an amazing image of it! At this time of year, it's the most beautiful tree in the street.